Have you ever thought of finding an alternative skincare routine where you can laze an extra 15 mins in the morning? We all know every second counts in the morning and I will be reviewing a mask which saved me a lot of time! Saborino Morning Mask has finally launched in Singapore! I've seen a few youtubers raving about this mask and they're highly popular in countries such as Japan, Taiwan and China. In just two years, about 10 million Saborino masks was sold and has received awards from numerous beauty magazines and TV Shows. The Saborino Morning Mask performs 3 functions at once! Cleanse, Moisturise and Prime (base) in only 60 seconds. I must say this mask is great for the morning! I'M SOLD. 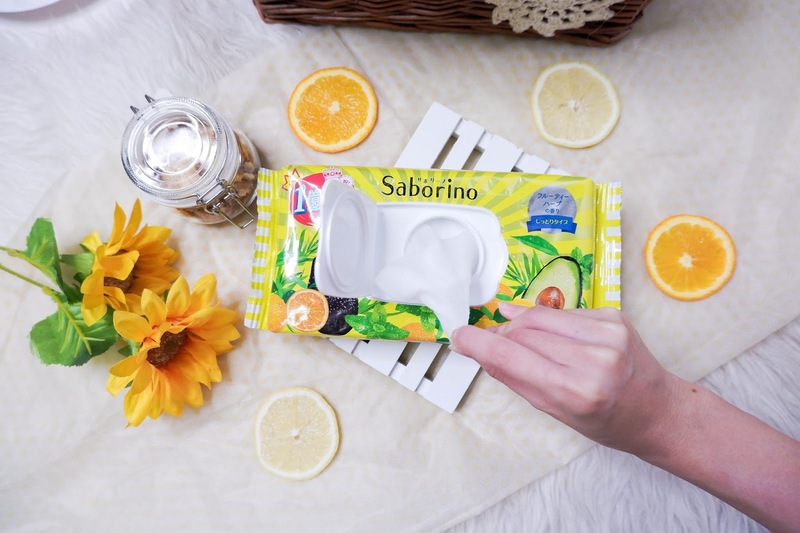 The Saborino Mask consists of skin-toning ingredients namely, Mint, Cucumber, Tea Tree Leaf, Grapefruit Extracts which makes me feel refreshed and awake in the morning! Each pack has 32 pieces, and they made the packaging resealable. Somehow it reminds me of baby wipes! Here's a close up of the material of the sheet mask. The moment I took out the mask from the packaging, it looked small to me. (Could it be that most Japanese girl’s have a small face? Hahaha.) Most of the mask I own is too big but this one fits like a glove! The quality of the sheet mask is soft and slightly stretchy and it contains cotton fiber which catches the dirt well. Best part? The essence doesn't drip all over the place and dirty my outfit of the day! The mask is filled with just the right amount of essence and makes it easy to apply on my face. I love how there's a cooling sensation upon application, very refreshing for my skin. I personally gave one piece for my boyfriend to try and he finds it very refreshing for the skin too! I don't know about you, but I always have this "morning" face even after I shower. My face is still slightly bloated and dull. So, this morning mask came in handy for me because it helps in brightening my skin and keeping them hydrated all in just 60 seconds! And I don't feel any bit of tackiness after massaging the remaining essence into my face. I also love how it helps in letting my makeup sit on my face better. 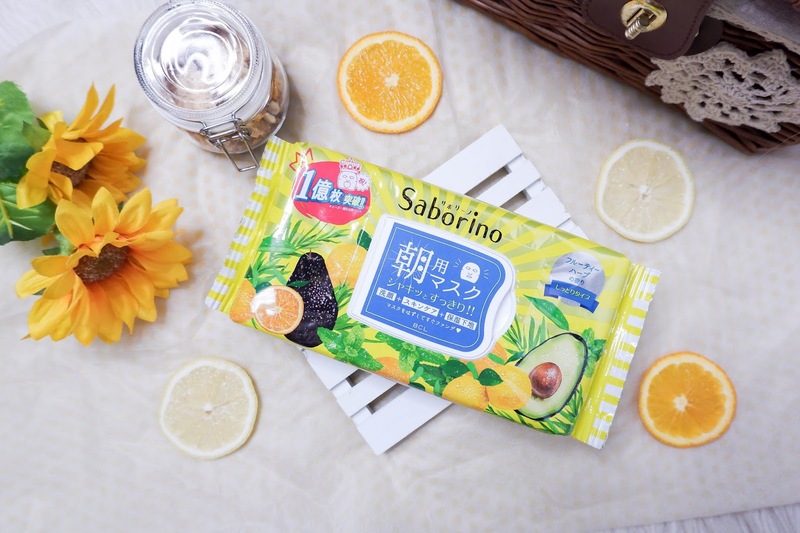 Saborino Morning Facial Sheet Mask is available at Guardian, Don Don Donki, Tokyu Hands, Welcia-BHG, SASA, Venus, Meidya Supermarket and retailing at $21.90!